What was missing once again was a discussion of the reasons why an evacuation was not ordered, why the removal of people was not organised, and why the rescue operation delayed so much. First, the PM chaired a conference at the Fire Service, where he did not know, did not see, or was not told. Then he proclaimed three days of national mourning. After that, he disappeared. 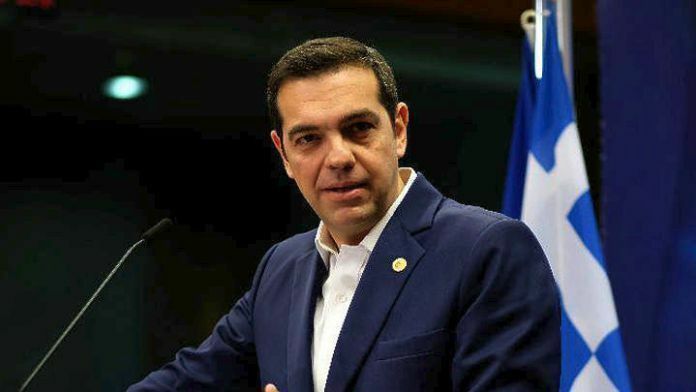 “Invisible” is how Reuters last week referred to the Greek prime minister, noting that he did not choose to visit any of the victims in hospital. Suddenly, yesterday, Alexis Tsipras appeared. In the early morning he visited the fire-ravaged areas. He did not go to speak with the residents, to hear their problems, or to show them that he stands by them. He went to Mati incognito, with a few associates, bodyguards, and his state vehicle, with the sole purpose of later showing a propagandistic video and supporting the government’s narrative that the dead are responsible. Earlier, Defence Minister Panos Kammenos provocatively proclaimed the same thing. This time, it was repeated by an engineer of the infrastructure ministry, and the PM shook his head in agreement. He was no longer invisible. As usual, he was provocative, chaotic, and now fateful. There were, of course, the stereotypical assurances that whatever should be done will be done, just as there were expressions of admiration for the firefighters and soldiers. Charred and drowned people are still being discovered, but the government refuses to apologise, to engage in self-criticism, and to assume essential responsibility. Just as in the communist era they removed annoying people from photographs, today the SYRIZA-Independent Greeks government is banishing troublesome emotions from the picture. The rage, however, cannot be erased. On the contrary, it is flaring up.